The Grizer Castle is being built by me, King William Charles Grizer II and my Queen Barbara Sue Grizer along with our six children: Prince Benjamin Lance Bowers, Princess Barbara “Bouncer” Grace Grizer, Prince William David Grizer, Prince Brad William Thomas Grizer, Princess Elizabeth “Bethenheimer” Joy Grizer, and Princess Brenda “Babeser” Faith Grizer. Master Mason and brother-in-law Sir Jason Myers, Master Builder and good friend Jamie Littleton, and Knights of Masonry: Jason “Jake” Roberts, Jeff Cline, Ed Constable, Dustin Cline, Brian “Smiley” Baughan, Todd Nutter, Lady Sarah Nutter, and Jason Treadway. 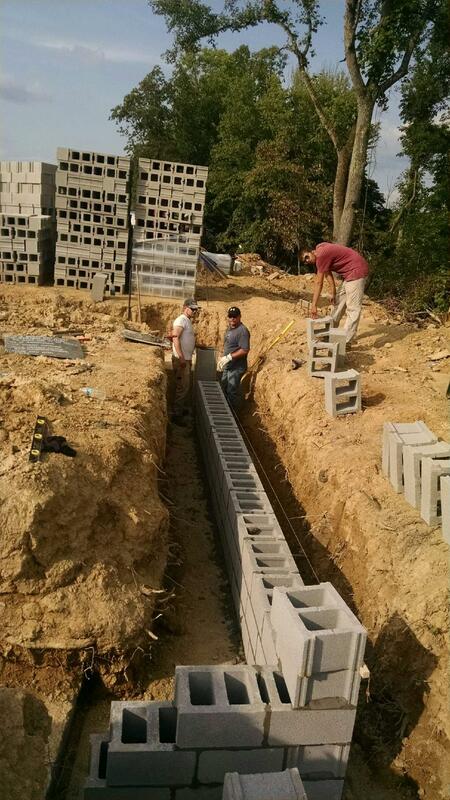 Steve, Lonnie Weppler who laid the first block August 8, 2014, and Justin Johnston. 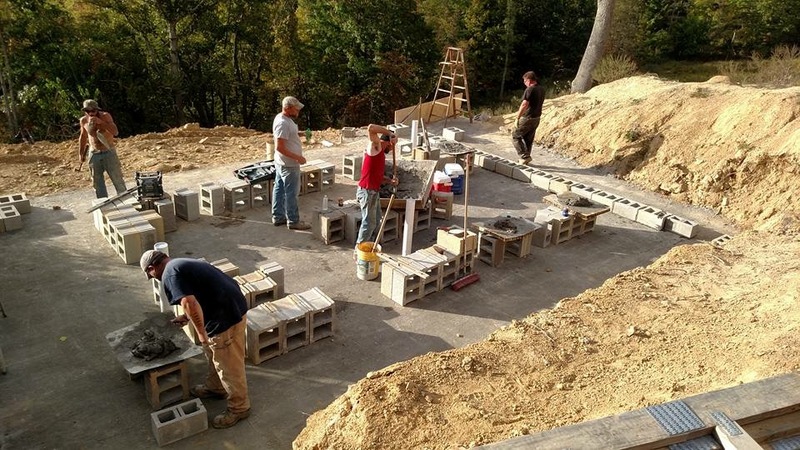 John and Martha Adair of Columbus, Ohio have also been huge contributers; along with everyone who has donated to the Buy a Block or donated in any way. Master Squire and head of laborers Jeremiah Rutter, along with Squire Laborers Jimmy Smith, Bret, Josh “Bubby”, Gage, Seth, Austin Farnsworth, Cole Oakey, Tyler Kramer, Nick Kramer, Jonathon Constable, James Nutter and Squire Seth Nutter, who at the age of 10 carried 12″ and 8″ block, built scaffolding, kept the place clean, and always kept asking “what else can I do?”. Very soon he will be a Master Builder. One of our newest laborers and hard workers is Joshua Constable. Operator Aaron Mace and life long friend Ryan Carper, who broke ground on June 6, 2014 at 9:06 p.m. Master Concrete Finisher and Stamper Sir Brandon Johnston along with Brother-n-law Sir Jason Myers. I would also like to thank all family, friends, and peasants who came out and helped. On the non-construction end my sister Sarah Myers has spent endless hours planning and preparing the upcoming business. Thanks for spending 8 months preparing an exceptional Business Plan that awed many!! Sarah is prepared to help plan and put on some out of this world Medieval style events. She specializes in party planning and is ready to help plan the perfect event. This business venture would not at all be possible if it were not for my sister; my back bone, Sarah Myers. I would also like to thank Jeff at Peerless Block, Shane and Jarred at Pioneer Masonry, Pudge at Huffman Truss, Jim Parker at Arrow Concrete (essrock), Brandon Johnston at Marietta Concrete Customs, Ryan Carper at Carper Well Service, Millard Carper at Carper Well Service, Mel and Skip at Summers Rubber, Metal Tech, Gary Styers, Vicky Whittle, and all the fine employees at Lowes. I’m thankful for all the support I have received while building my dream and I can’t wait to share it!! 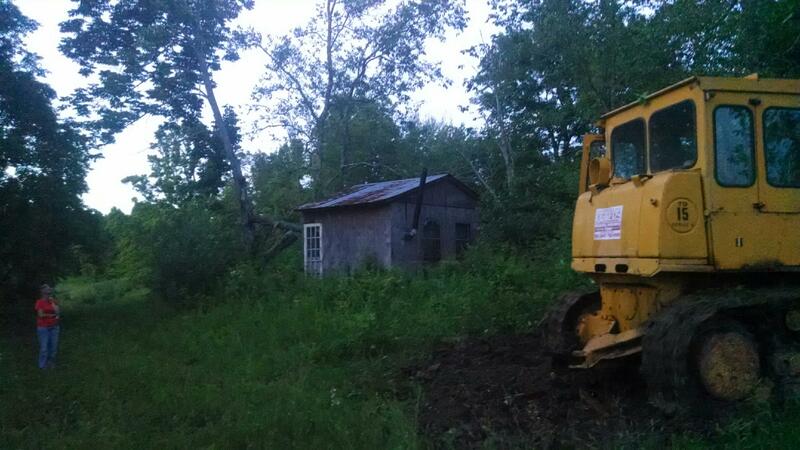 Ground broke at 9:06pm on 6/2014 by my life long friend, Ryan Carper.